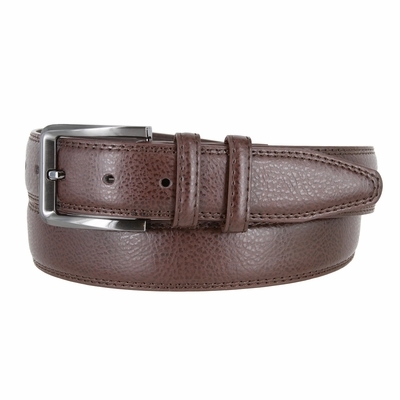 Genuine Leather Belt Strap with 7 Holes. 1-3/8" (35mm) wide Belt Strap with Matching Keepers. Feathered and Double Stitched Edges for Durability.